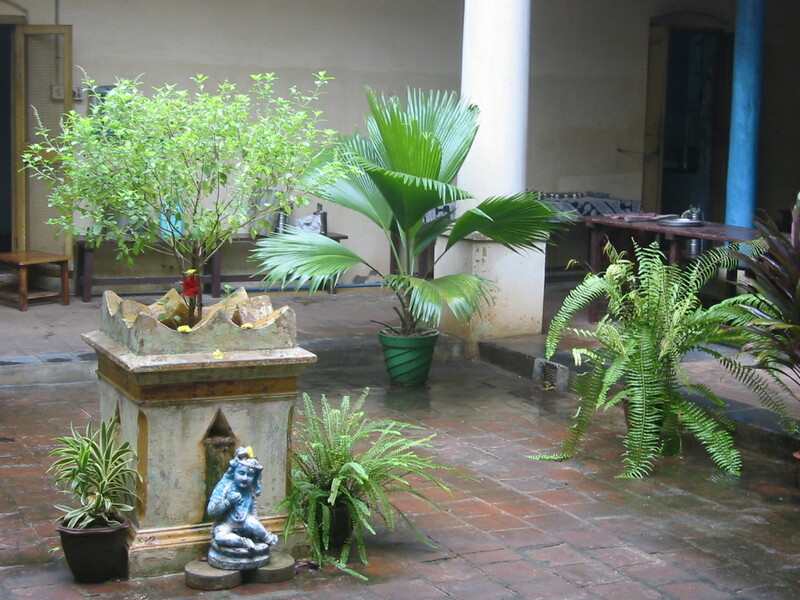 The heavy monsoon weather has passed and Chennai is now in its winter, reminiscent of tropical climates such as Hawaii or coastal Florida, with sunshine, balmy breezes, & sporadic showers. It is THE time to visit if you cannot tolerate heat. In this post I am sharing the photos of my living quarters and locale. For many of you it may seem rather primitive, yet I feel I am living in a palace; surrounded by Nature, my needs comfortably met. How much of life is spent trying to provide for a comfort level established by one’s upbringing or society in which there are too many THINGS?? Things meant to bring us happiness and eventually ending up in the garage or storage locker! I have lived like a monk for years and do realize it is not possible or desirable for everyone, still, this Christmas we can consider our relationship to the ecology of owning things ? I do wish you all a wonderful holiday! The meaning of the season whether you are Christian, Jewish, or other, refers to the increased capacity for light. Light in the heart, light in the home, light in the world!! Holiday Blessings and Love!! Since many of these photos require some explanation, check out the captions below. As always click back and forth for the full view. 1. Doorway to Heaven: This is the entrance passage to the second floor of a building know as the New Quadrangle, where my room is located. 2. 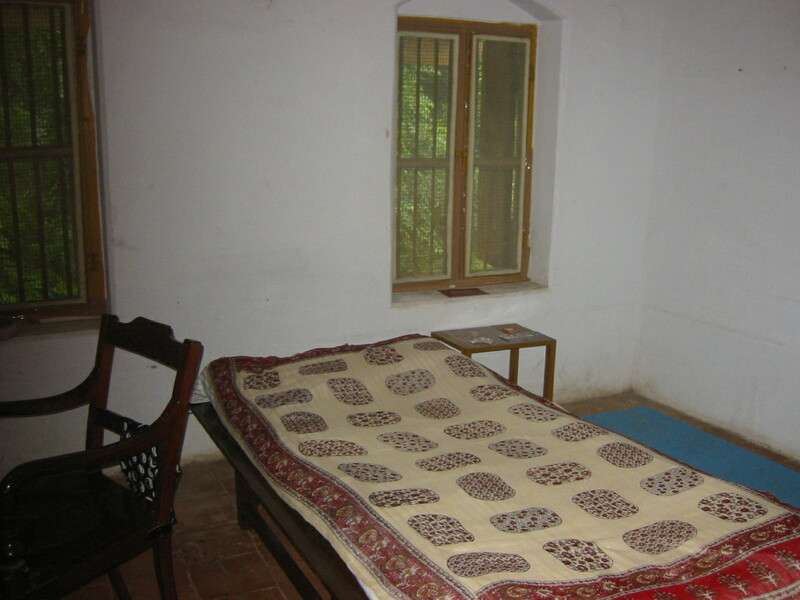 Bedroom: What more is needed than a bed, a desk, a yoga mat, and an altar ?! 3. 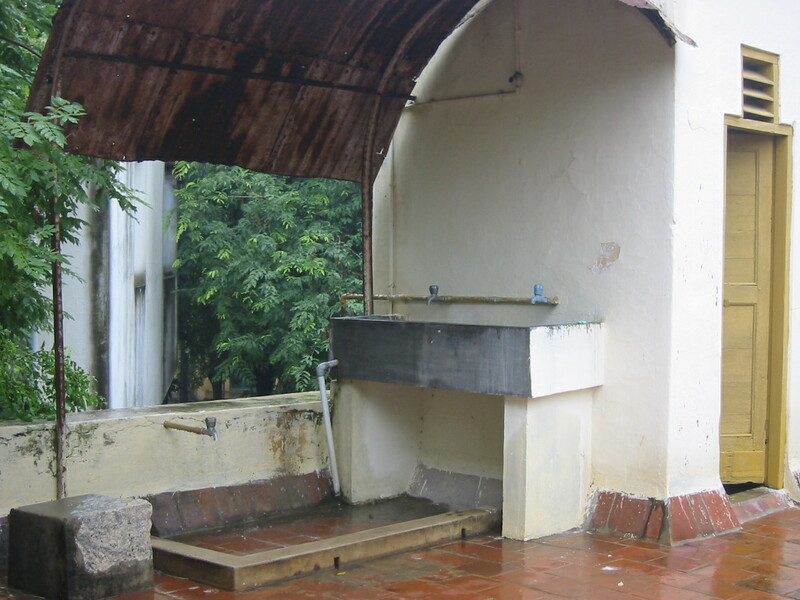 Common washing area for teeth, dishes, or laundry. Yes, I am hand washing my clothes in a bucket! There is laundry service however for the less frugal. 4. View from the patio with clothesline: Being among the trees means sharing with chipmunks, many types of birds, and an occasional monkey. 5. 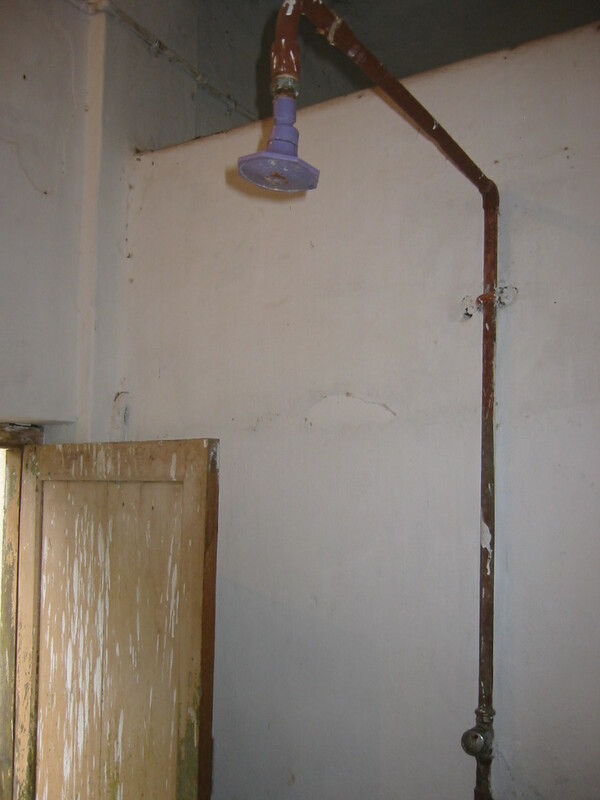 Shower Room: cold water only. In these temperatures hot is really not needed, however desirable. 6. 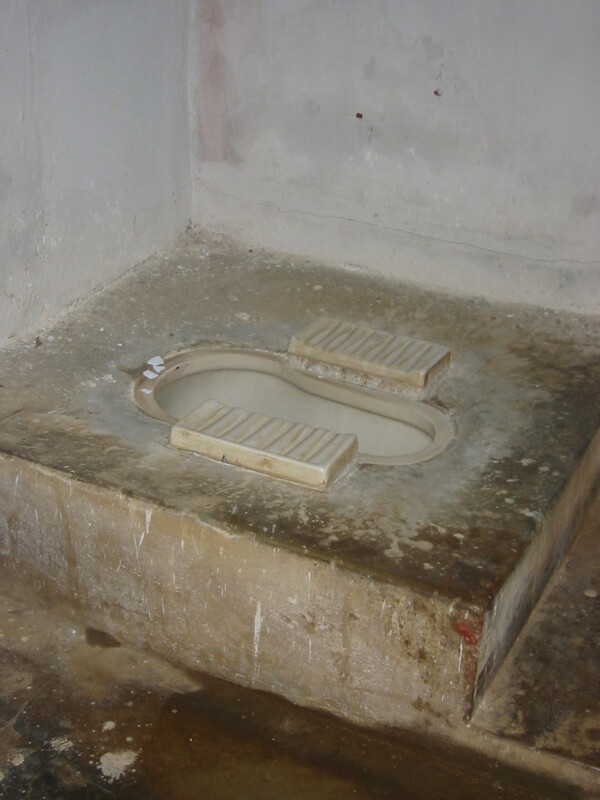 Squat toilet: I have told students for years about squatting and hip flexibility. Toilet paper is a different discussion! 7. 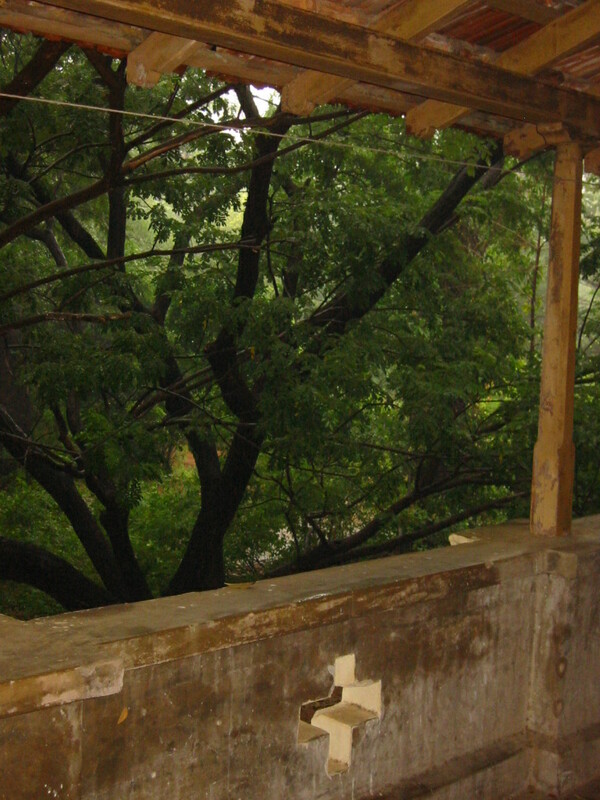 The beautiful dining room of the Indian Quarters known as Bhojanasala. Krishna as a baby is known as Bala Krishna. 8. 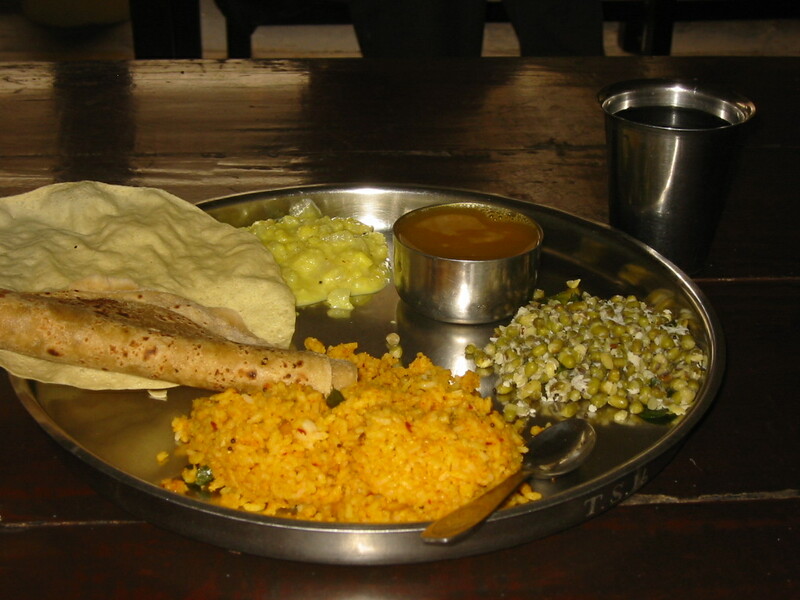 Southern Indian lunch: (counterclock wise from the cup) rasa, a thin, spicy vegetable broth; sautéed mung beans; turmeric rice; folded chapatti bread; papadum, a lentil flour cracker; and chayote squash curry. Soooo good! 9. 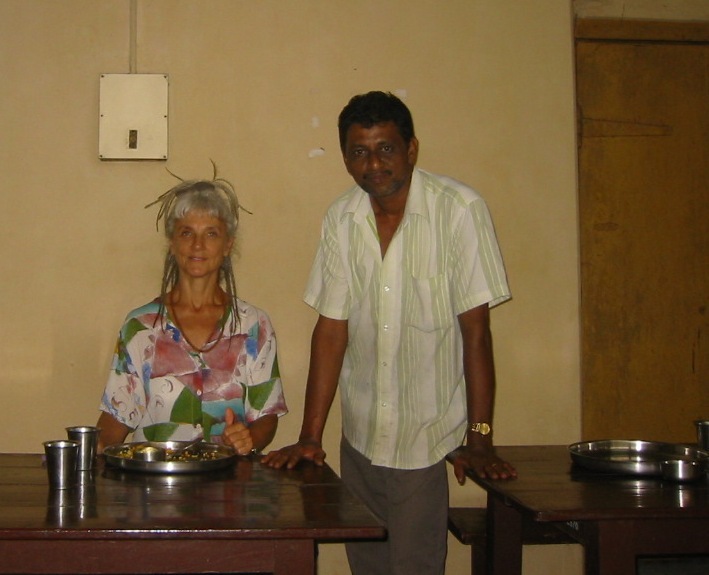 Raja the head cook and a satisfied customer! 10. 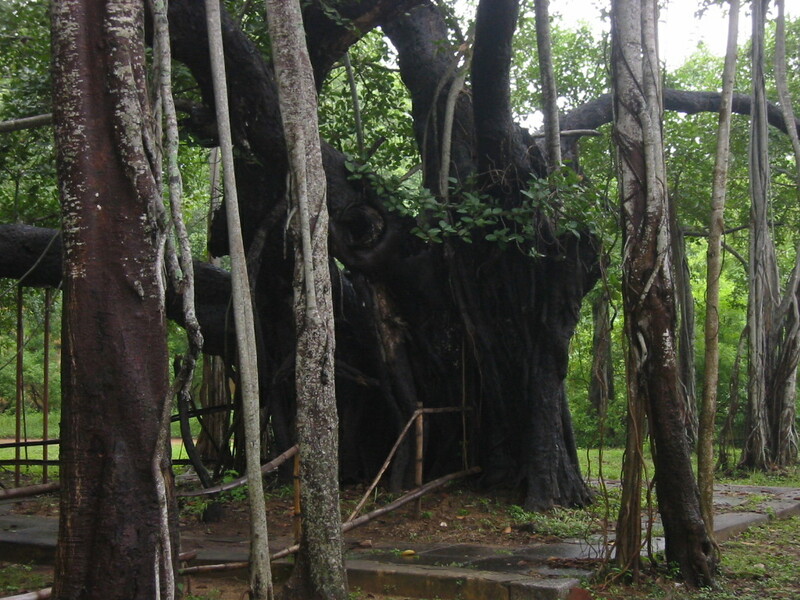 Banyan tree opposite my building: A banyan tree sends out roots from its branches eventually creating a small forest from a single tree. Here the slender trees are roots of the big tree. 11. 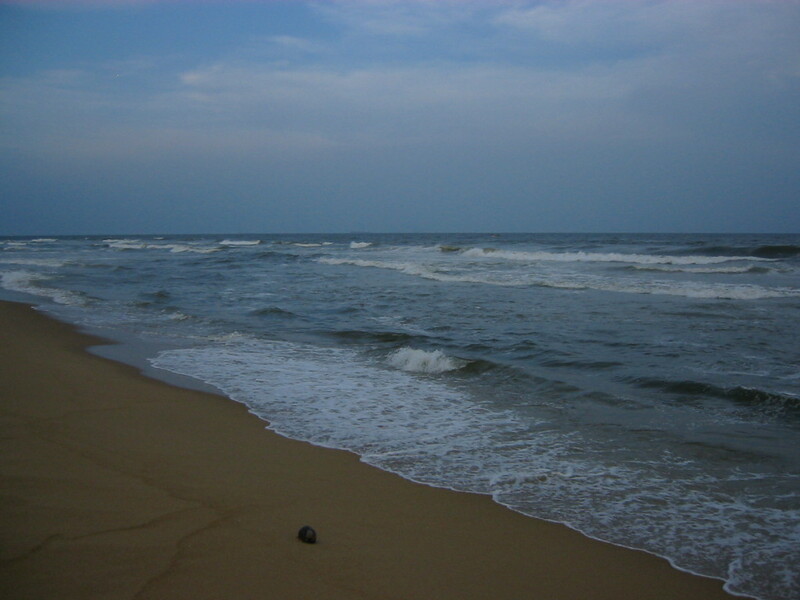 The shore along the Adyar property: A lone coconut in the foreground. 12. 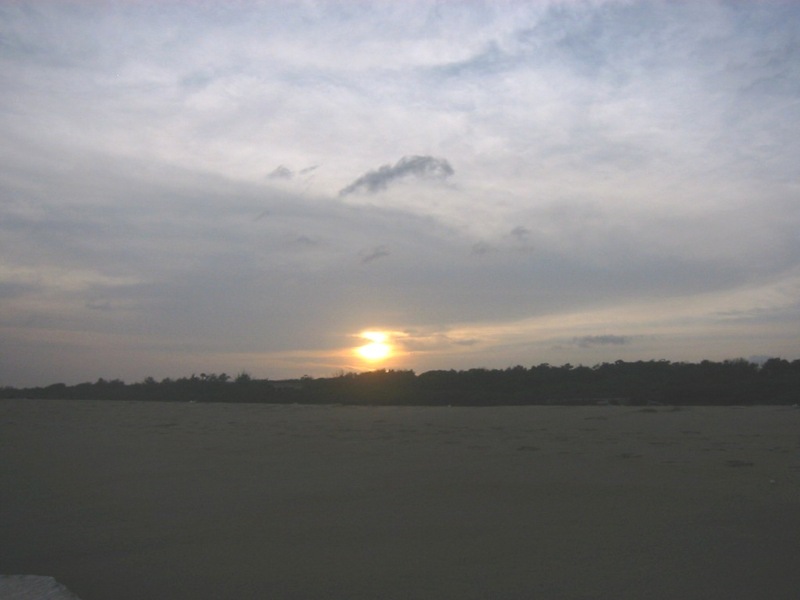 Sunset over Adyar: The Theosophical Society property begins at the tree line. You look so beautiful. And the food looks delicious! You bed looks more comfortable then the ones I had while I was there! Keep the interesing post with the nice pics coming! Thanks for sharing. “Simplicity simplicity simplicity” ~ one of my favorite mantras from Thoreau certainly highlights the sublimity of a life well lived. Thank you for posting your divine experiences! Oh Anne! I’m so happy for you! It’s all so beautiful and peaceful! I’ve been so busy this year, and living in Sao Paulo, a huge city, very urban setting. When I looked at these images, it helped remind me to look for this kind of beauty. Thank you Anne! I wish you a wonderful 2010! BIG hug from Brazil!